I’ve mentioned a number of times how the most simple trick to taking impressive pictures is to change the angle. You don’t need a fancy camera for this, just look for different ways to see the image. This view, thanks to the many pigeons in the plaza, I have called pigeon eye view. This is not how we as humans see the plaza, but as pigeons see it. And that is what makes it more interesting. 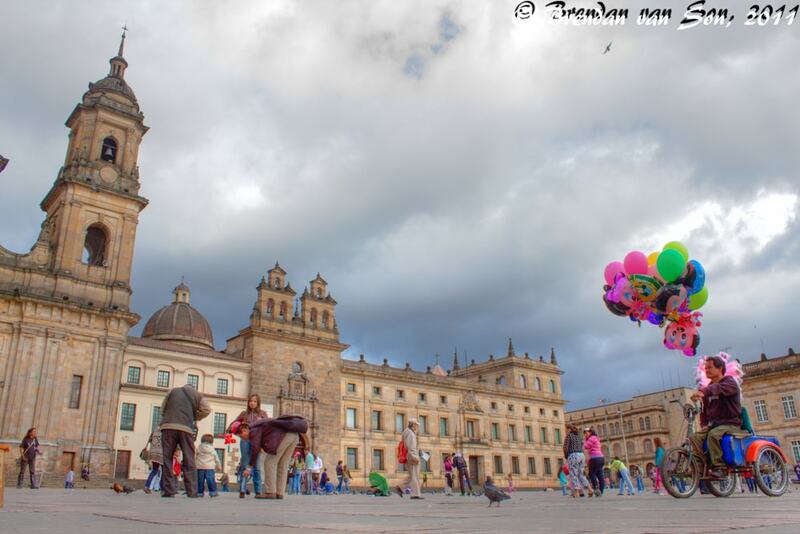 The second tip from this photo of Bogota is obvious: find an interesting subject and frame it. Many people might have raced up and photographed this subject directly, but by putting him in his environment it has given more life to the situation, and the image. Remember, great photography is about more than capturing an image, it is about capturing the feeling exuded in the environment we are capturing. 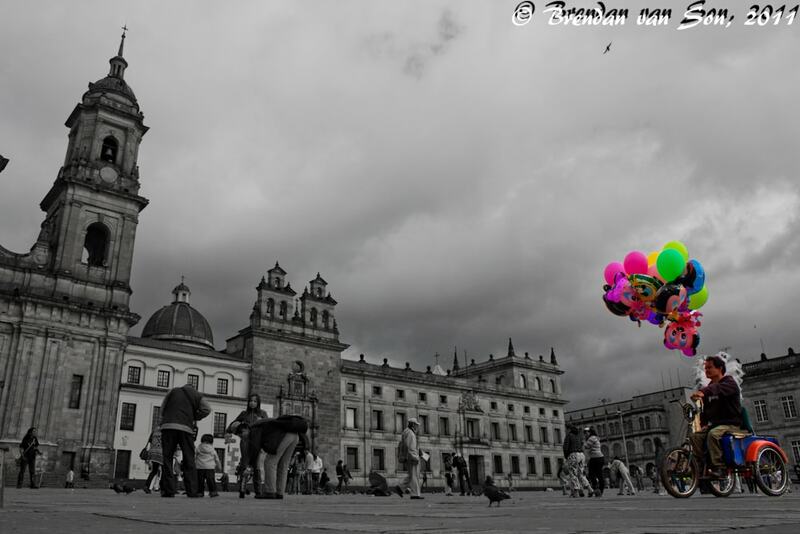 Really cool shot with the colorful balloons against the beautiful cloudy sky.